Under Attorney General Eric Holder, the Department of Justice has become a politicized hotbed of left-wing legal activism. What is Eric Holder up to? When questioned by congressional committees on sensitive issues like the ATF "gunwalking" scandal or the surveillance of Fox News' reporter James Rosen, the attorney general either claimed ignorance or denied specific knowledge. When it was later revealed that Holder had personally signed off on the Rosen investigation, despite his explicit denials, indignant calls were heard across the political spectrum for his resignation. He became the first attorney general in history to be held in contempt by the House of Representatives over a reckless operation that killed a border patrol agent and numerous Mexican citizens. Yet Holder remained in his job, and it is clear that he has President Obama's full support. 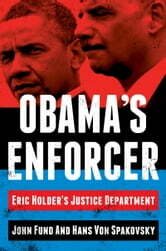 In Obama's Enforcer, authors John Fund and Hans von Spakovsky provide the first explosive look inside this feared and powerful agency. They describe the transformation of the DOJ into a stronghold of progressive legal activism and provide in-depth portraits of the radical lawyers in Holder's inner circle. Holder survives because his agency acts as a heat shield for the Obama administration, protecting the president's flank on numerous fronts. He also survives because his department is actively advancing Obama's hidden political agenda, from the administration's war on Fox News to its harassment of Tea Party activists. He has injected a new politically correct laxity into domestic security issues, eliminating the use of the words "radical Islam" and pushing for civilian trials for terrorists. He has also presided over an unprecedented expansion of politically correct actions at the DOJ's Civil Rights Division and launched a widespread attack on election integrity efforts. In addition to monitoring reporters' phone records, DOJ lawyers were involved in instigating Operation Fast and Furious, ignoring the deliberate leaking of classified documents by the White House to favored reporters, the funneling of taxpayer funds to political allies through collusive settlements, and much more. 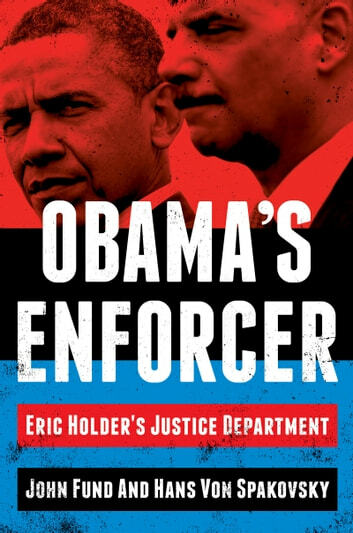 Obama's Enforcer provides the first investigative look inside the country's largest law enforcement agency and reveals its true and dangerous role in advancing Obama's agenda. Hilary Clinton for Kids: A Biography of Hilary Clinton Just for Kids!